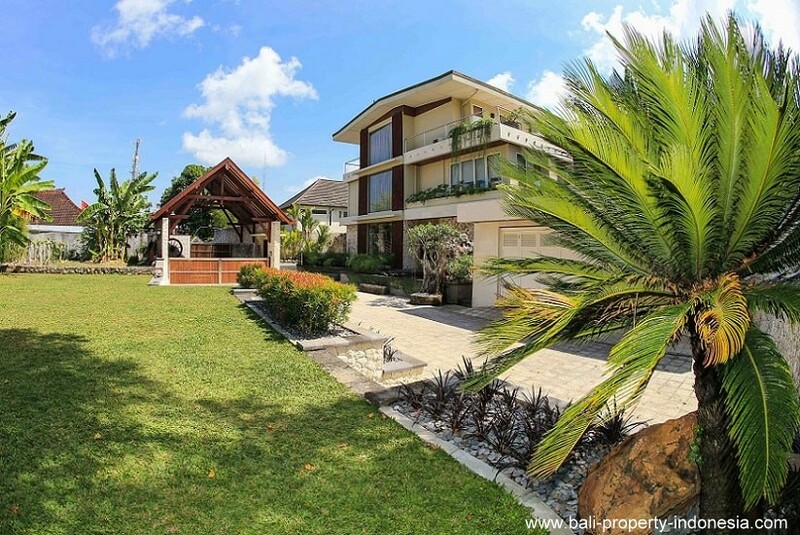 Excellent maintained villa with stunning views over Bali offering you 4 bedrooms and holding a Freehold title. 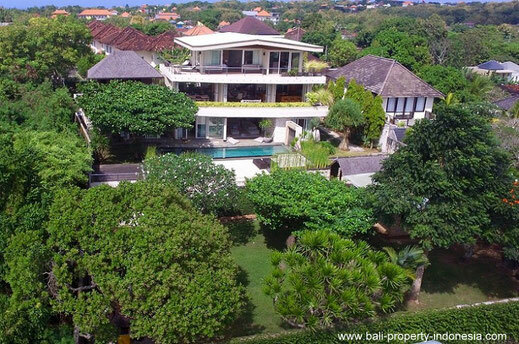 You are looking for a quality villa here in Bali? 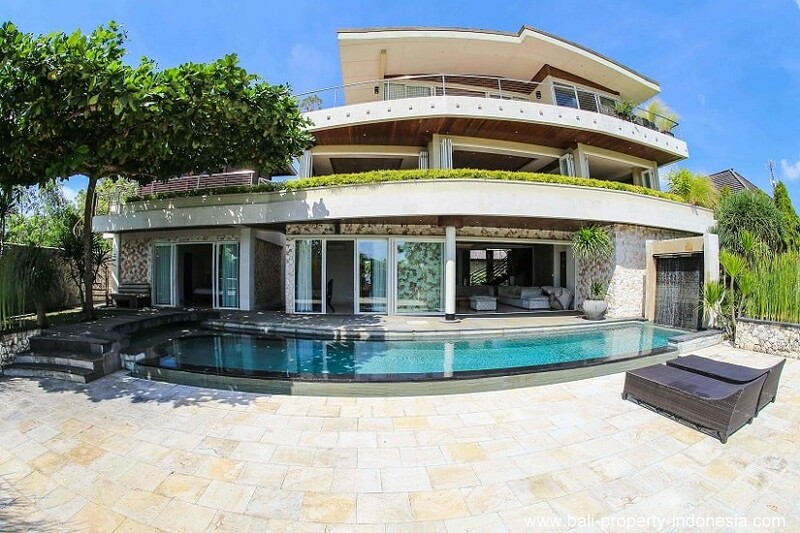 Then please pay attention to this high end villa. Most of this villa has been built from quality (imported) materials starting from small screws to the large slabs granite on the floors. 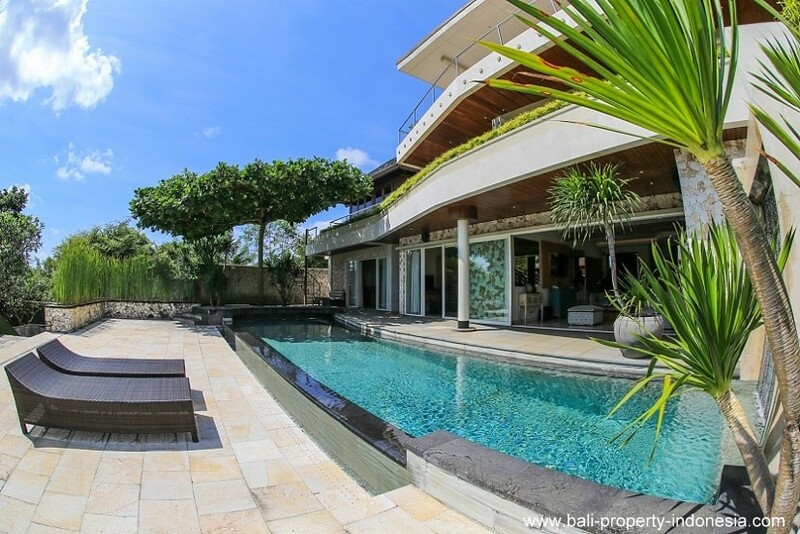 A well maintained superb villa with stunning views over Bali. 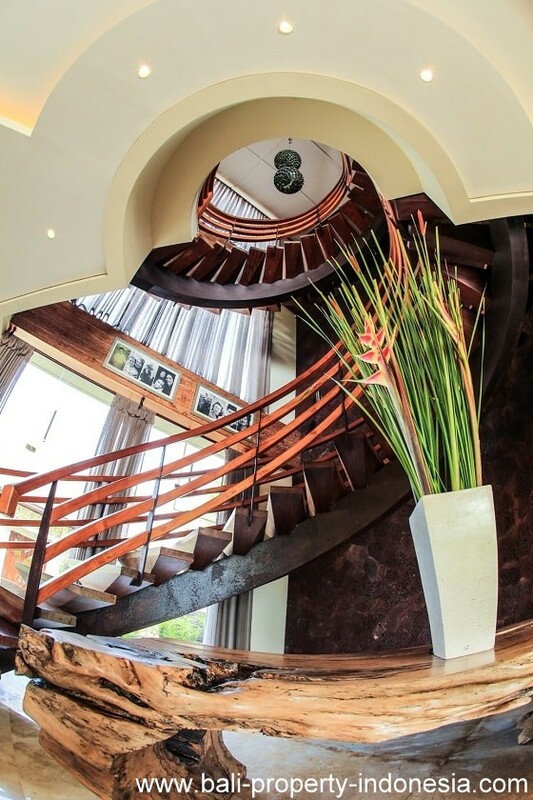 Starting from the top floor, you will find here a very spacious master bedroom. Behind the bed is the large walk-in wardrobe. 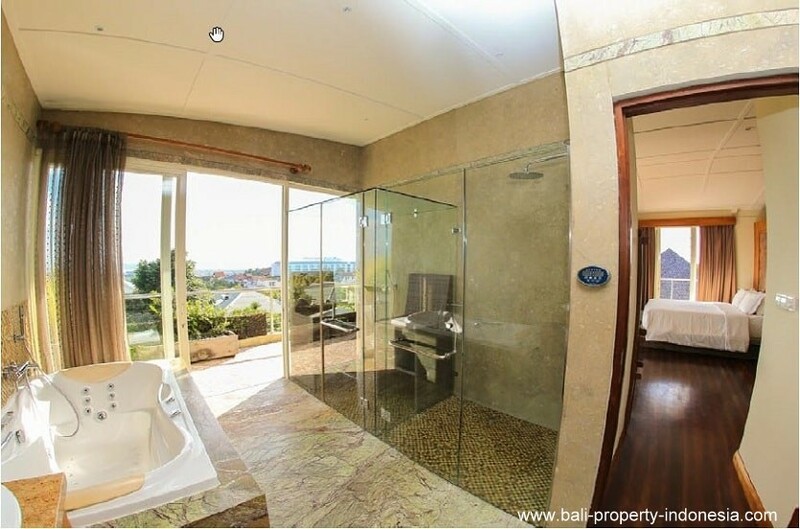 Of course is this bedroom having its own en-suite bathroom. This bathroom is having a steam cabin. 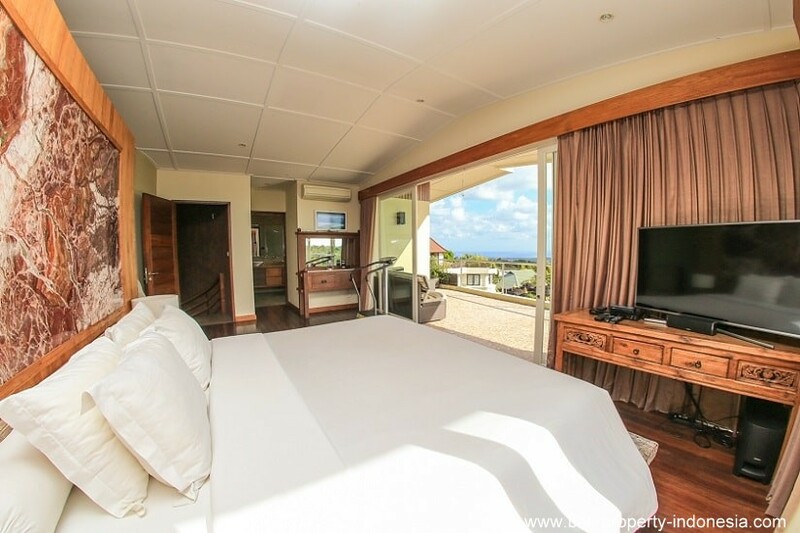 In the front of this master bedroom you will find a terrace from where you can have a wonderful view over the mountains and the ocean. 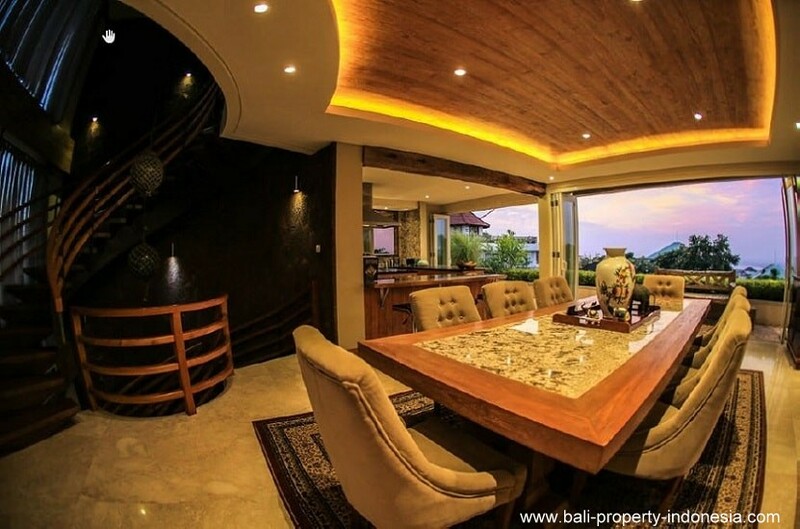 When we go down to the first floor, you will have here the cozy living room with a luxurious western styled kitchen. Next to the kitchen is a pantry including an air-conditioning making it possible to use this room as an additional large refrigerator. Also on this floor you will find the office. A large room which is decorated with a lot of wood. This room is currently in use as an office but it can easily have different purposes like a spa/massage room, gym, entertainment room or workshop. 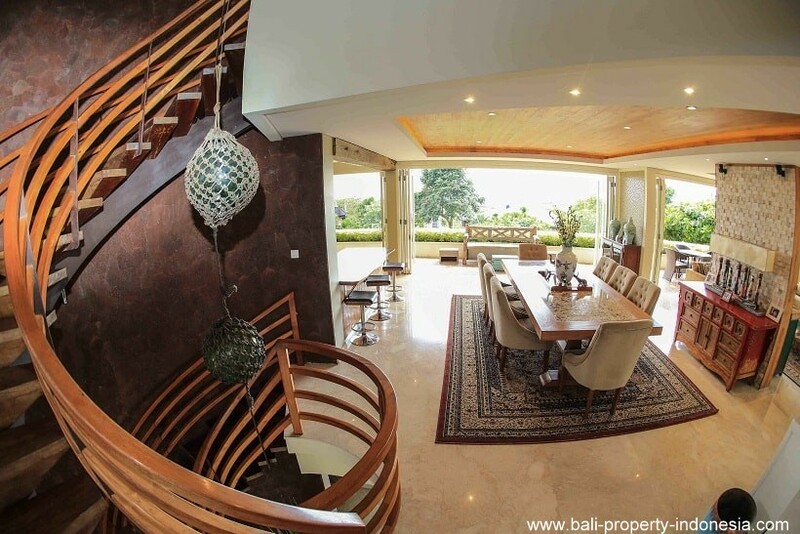 On the ground floor you will find an additional living area. 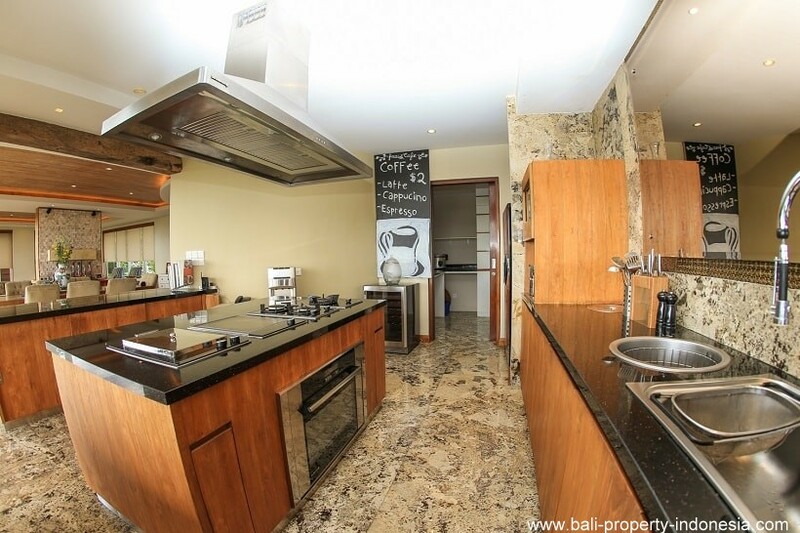 Also on this floor are the other 3 remaining bedrooms, each with their own en-suite bathroom. 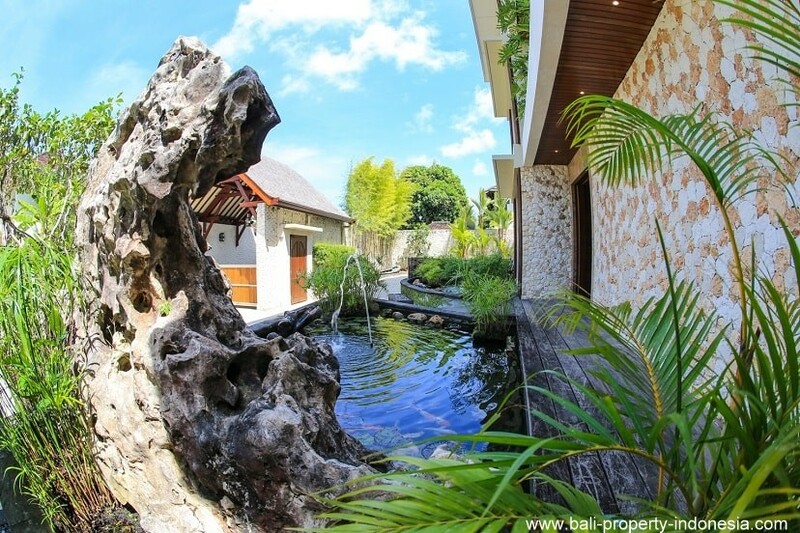 In front of the bedrooms is the long salt water swimming pool. 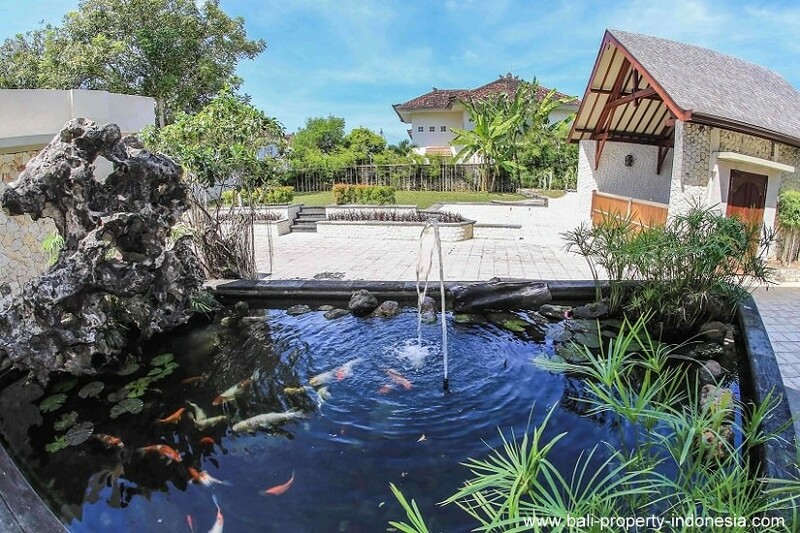 The villa also has access to a large garden with a spacious bungalow. 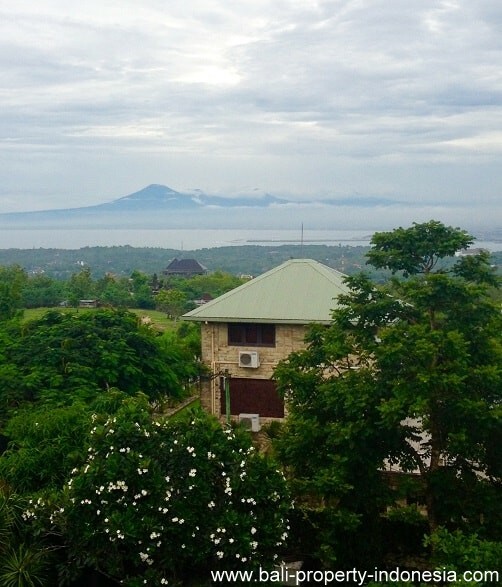 This bungalow can be used as staff accommodation. 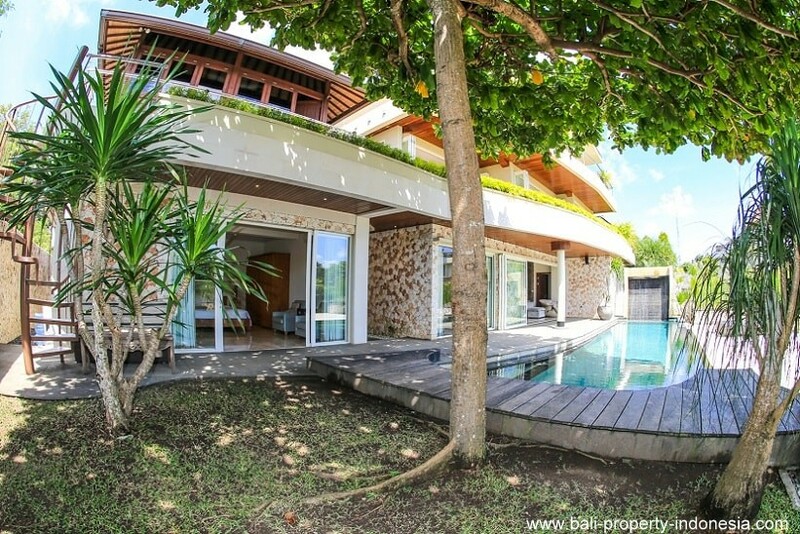 However, it is also possible to convert this bungalow into an extra guest house. 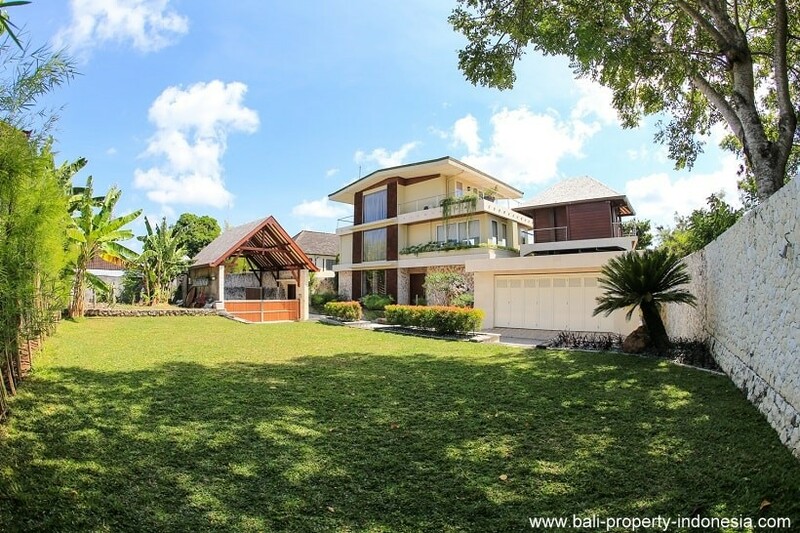 The bungalow is large enough to place a separation wall in which 2 bedrooms can be created. Upon entering you will see the large garage where various cars can be parked. 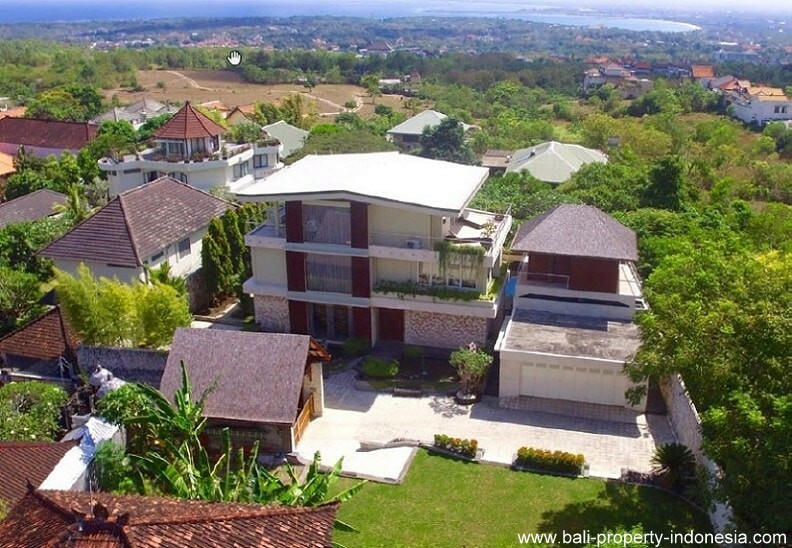 If this is not enough, cars can also be parked in front of the garage or on the piece of land in front of the villa. 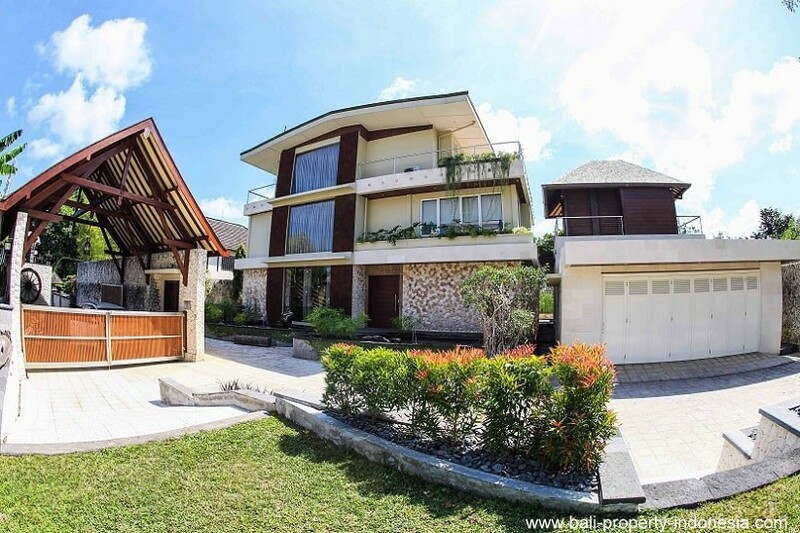 This villa has many different styling elements that we want to pay attention to. 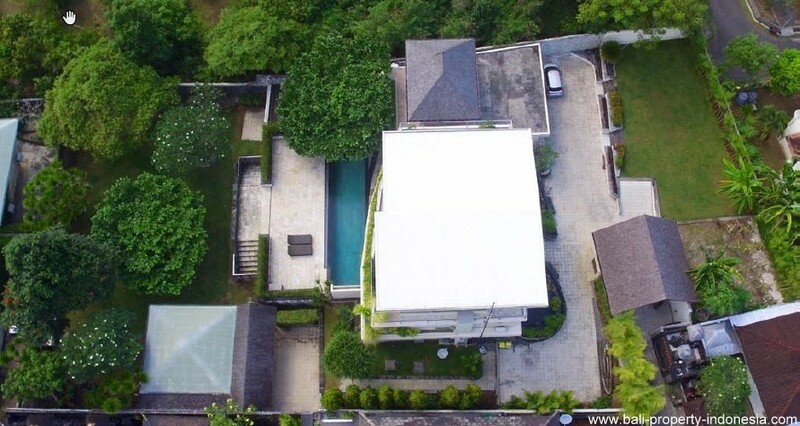 There is a large underground steel reinforced concrete rain water tank, intercom, 20KVA Perkins /Stamford generator, high quality 20KVA voltage regulator, living rooms with Bose sound systems, Brightgreen LED lighting, SS Balustrade wiring & Fixings. 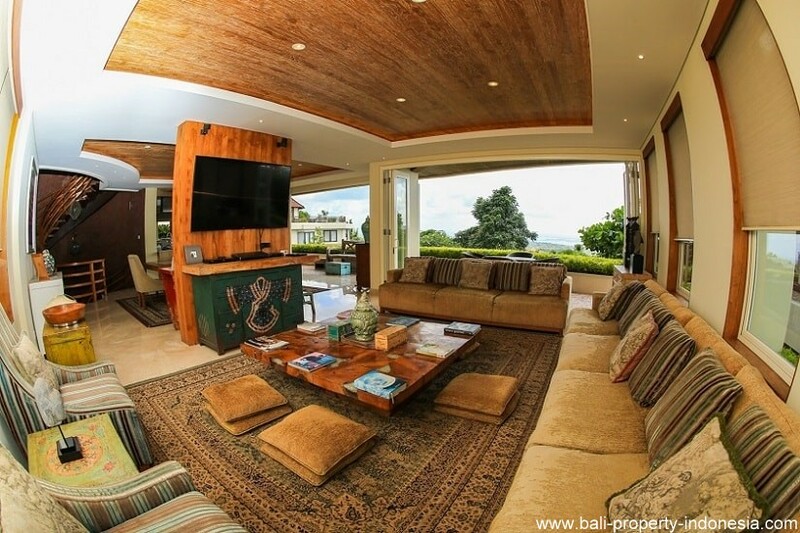 Besides the technical details there are also plenty of decorative elements in this villa showing the quality like granite floors, lava walls, handmade wooden staircase, antique wood from a ship and jetty and more. The villa is located in Balangan. 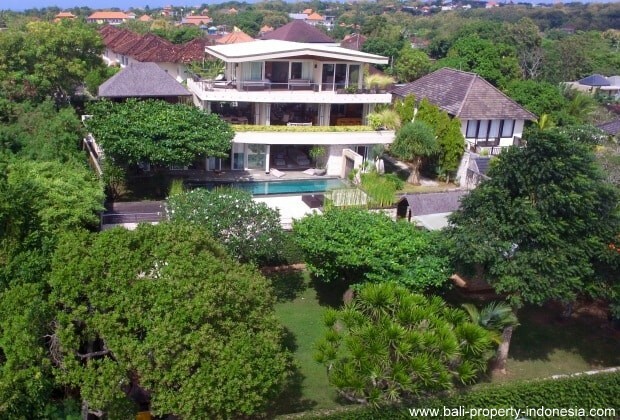 From here, it only takes maximum 10 minutes driving to the nearest beaches and the golf course in Dreamland. Shops and restaurants can be found in the near surroundings. The airport is only about half an hour driving away.